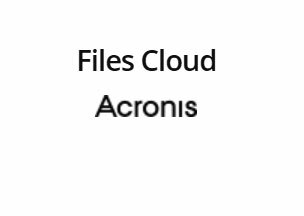 Discover an easy-to-use file sync and share cloud solution for your customers with Acronis Files Cloud. Designed exclusively for small to medium-sized businesses, Acronis Files Cloud is a great alternative to Dropbox Business with its enhanced security and data protection features that work on any device – be it desktop PC, tablet or mobile. Your customers can securely store files and access them at any time with the ability to edit or comment on files directly from their Microsoft Word, Excel or PowerPoint mobile app. Easy to deploy and manage from a fully white-labelled portal, Acronis Files Cloud can reduce customer churn and boost your profits.